Vacant lots in Denver’s Driving Park Historic District are an anomaly – let alone two next to each other. Studiotrope was approached by a private developer who grew up in the neighborhood and wanted to do an infill that responded to the surrounding architecture while making a contemporary statement. 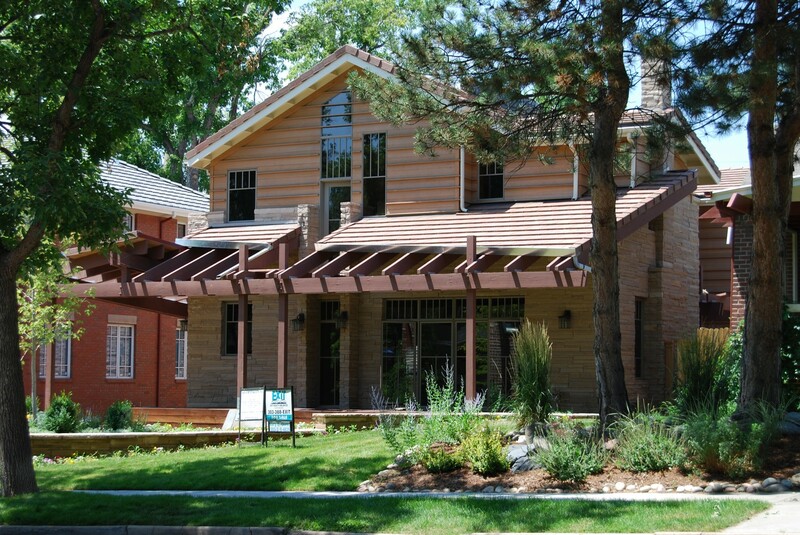 The first house is located just to the north of a very typical Denver Square, therefore the form of the home is a contemporary version of its neighbor’s style; a Denver Rectangle. The proportions of the past are literally stretched as the new facade becomes much more horizontal in nature. The second house takes its design cues from the early 20th Century bungalow that had previously occupied the site. The house has long span exposed wood beams and posts to allow the celebration of the craftsman connection detail. The stone is local Colorado rose sandstone, stacked in a very refined manner without the expression of mortar. The entry is offset to the side of the house to maximize floor to ceiling heights inside the home while staying beneath the bulk plane limits.